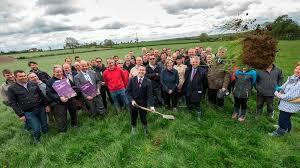 English launches Pan-European research team to unearth pathways to sustainable land management – DAMIEN ENGLISH T.D. Damien English, T.D., Minister for Skills, Research & Innovation. Is Europe running out of land? under the EU’s Horizon 2020 programme”.